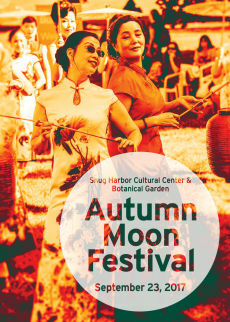 Enjoy traditional Asian music and dance, storytelling, tours, demonstrations of martial arts and Tai Chi, food, lessons in Chinese calligraphy, and more at the annual Autumn Moon Festival. 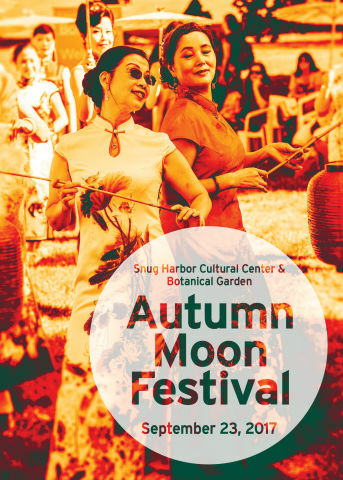 The Autumn Moon Festival spotlights Snug Harbor’s NY Chinese Scholar’s Garden and celebrates the seasonal harvest fest in East Asia, which dates back to at least 2000 B.C. Join us for this fabulous cultural event! Promotional support provided by the NYC & Company Foundation. Special thanks to the Friends of the NY Chinese Scholar’s Garden. Location: Chinese Scholar's Garden, part of Staten Island Botanical Garden, located in the Snug Harbor Cultural Center. Location Details: The NY Chinese Scholar's Garden is located next to Cottage E, on Cottage Row across from the Carl Grillo Glass House and Harbor Eats.